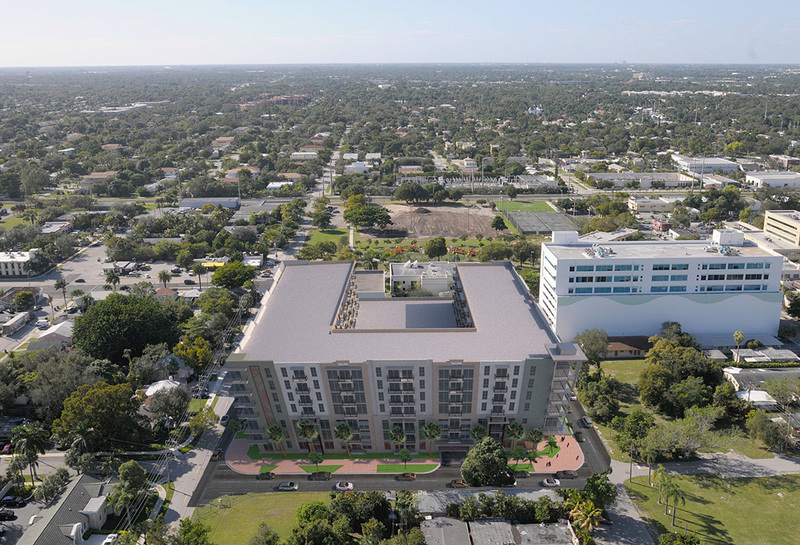 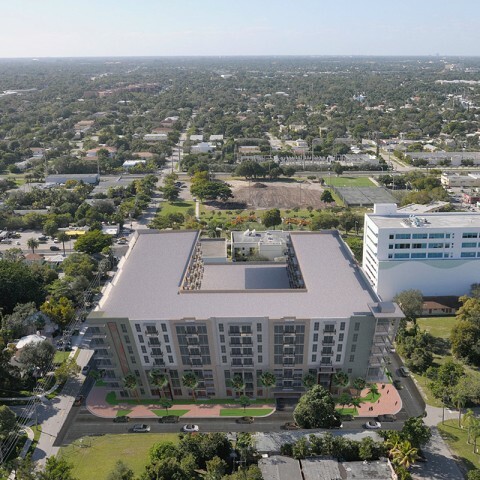 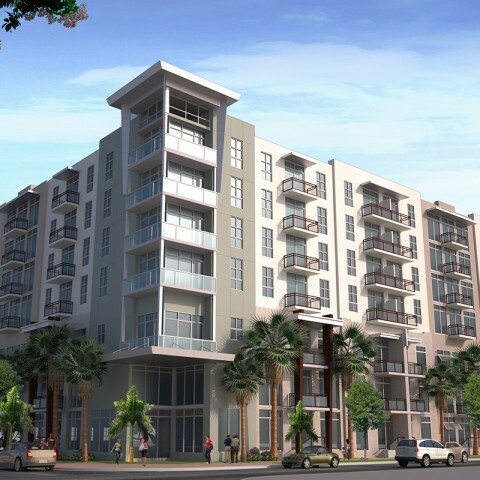 French Village is a 202-unit seven-story apartment project in downtown Fort Lauderdale. 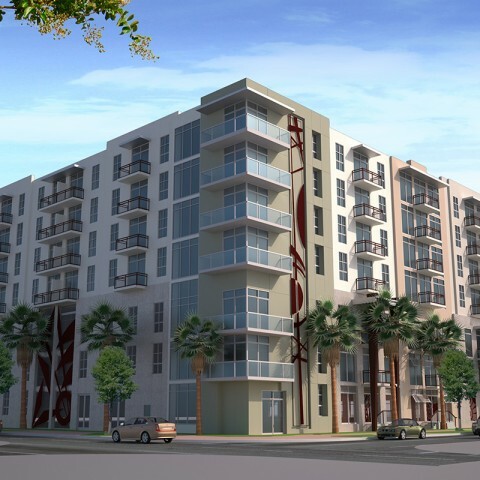 Since the project fronts three streets, townhomes were used to screen the three-story podium parking within. 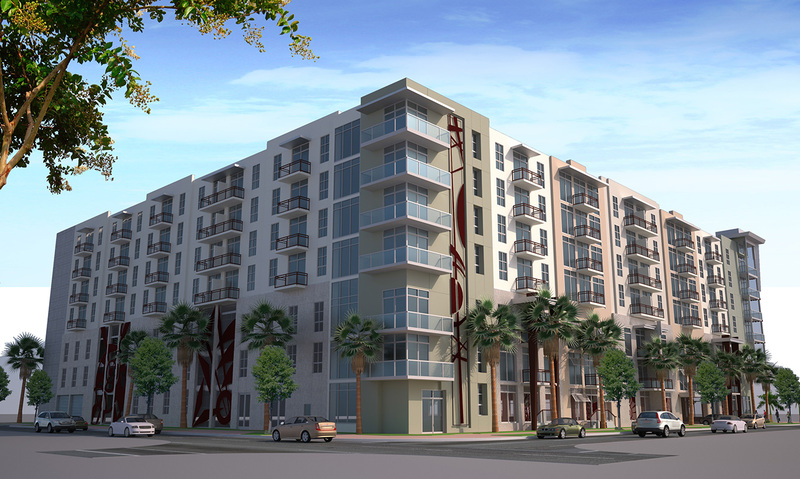 The townhomes address the surrounding residential context and help activate the streetscape. 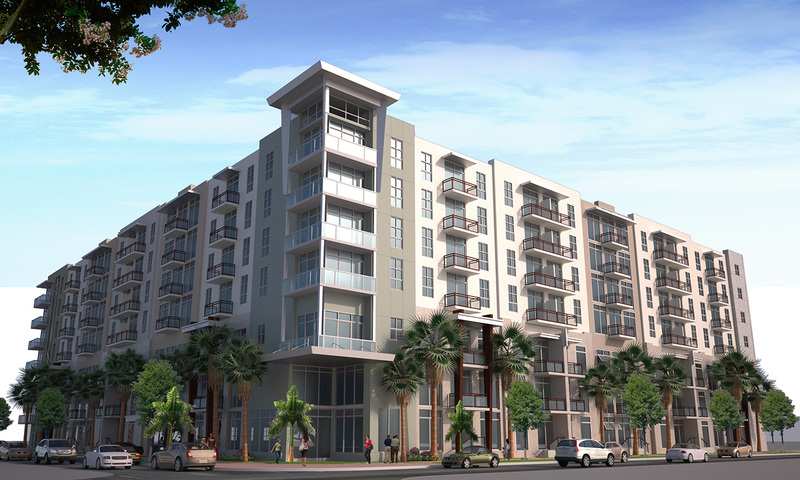 Above the podium is an elevated amenity deck with four stories of residential units wrapping the amenity area.